Where honesty is the best policy! ABC Auto Repair & Towing LLC in Canton, is your hometown auto shop for maintenance, repairs and Vogue Performance Custom Exhaust Systems. 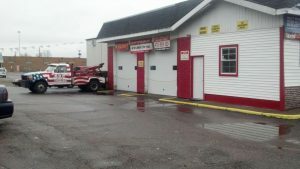 We are experienced with 15 years of automotive repair experience and 12 years in business at ABC Auto Repair & Towing LLC. Our mechanic is a ASE Certified Master Mechanic and has earned an Associate degree in Automotive Technology from Stark State College. From basic services to Vogue Performance Custom Exhausts, ABC Auto Repair & Towing LLC is the place to trust your vehicle to. Our highly trained, friendly staff is here to take care of what you need. We offer a dealership-quality service and repair without the dealership price. Do you want great sound from your exhaust? As a Vogue Performance Exhaust dealer we replace factory exhaust systems with custom exhaust systems that you design. Our technicians at ABC Auto Repair & Towing LLC have been specially trained to hand build you a Vogue Performance Custom Exhaust Systems. Most Jobs Done Same Day!